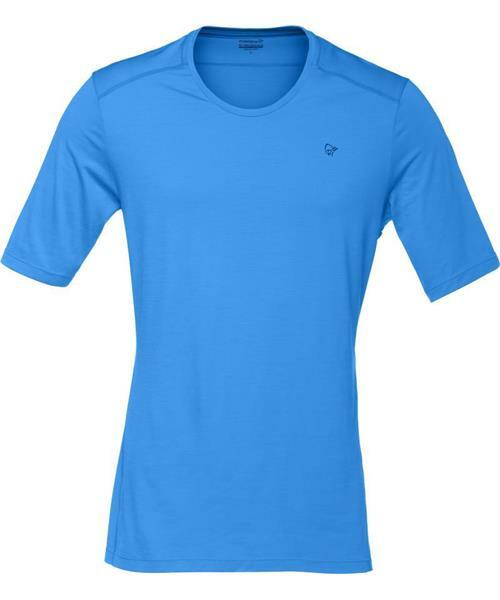 The merino wool T-Shirt is developed to suit your outdoor activity perfectly, regardless of the weather conditions, season or intensity level. We like to think of the T-Shirt as the more tropical brother of the round neck; perfect for mellow summer days but still great to wear underneath your mid-layer in the winter time. Our highly breathable wool fabric consists of 89% fine merino wool, maximum 17,5 microns thick, to provide a soft and comfortable feel, and 11% polyamide to make fabric more durable and quick drying. By spinning the wool around the nylon core, we have created a unique fabric which is a lot stronger than regular wool The thickness of the fabric is in the sweet spot for regulating temperatures during all seasons with different activity levels, keeping you warm even when wet.